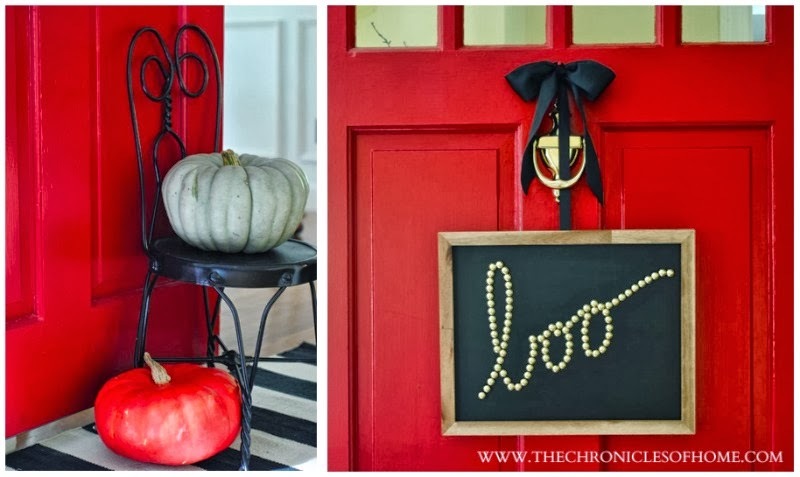 Easy Halloween Decor AND $200 Target Giveaway! This is the first time I have ever decorated for Halloween. With the exception of Christmas, I’m pretty low-key with my seasonal decorations. For fall, I like a pretty pile of pumpkins by the front door, maybe some mums, and I’ve always loved those miniature white pumpkins. All of those things carry pretty well into Halloween, sooooo…that was all I ever did. 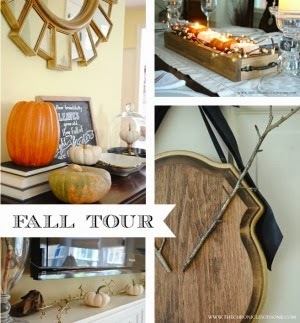 Participating in the Modern and Fresh Fall Tour pushed me a little outside of my norm and it wound up being SO much fun to really think about fall decorating outside of pumpkins and mums and add some fall touches that were new to me but still true to my aesthetic. 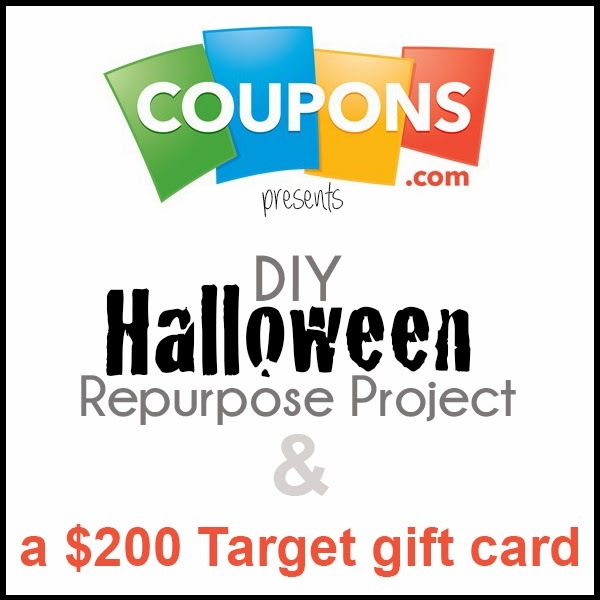 The same idea carried over into this Halloween project sponsored by Coupons.com. 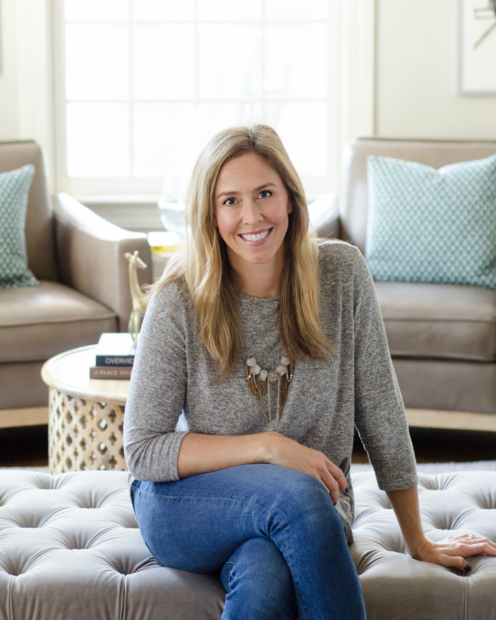 It was really fun to think about decorating for Halloween this year with the same goals in mind – stay true to my aesthetic while adding some festive touches. 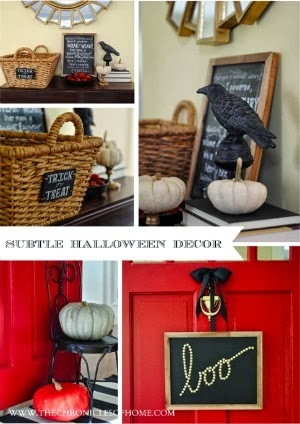 I love the idea behind it – create something that can be repurposed after Halloween as something not related to Halloween. Coupons.com provided me with a gift card to buy supplies at Target, which I used with one of their Target codes to get free shipping on some supplies. 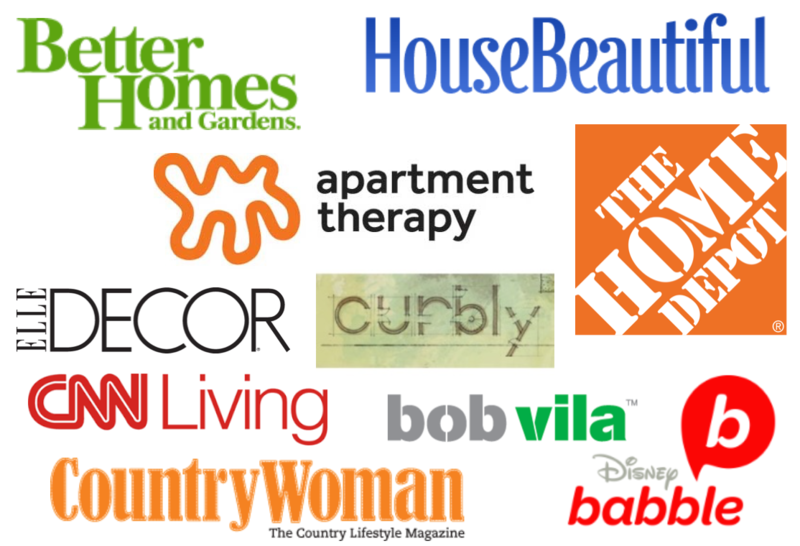 As you might imagine, I had no trouble finding things I liked in Target’s line of home decor items :) I wound up using a lot of items from the Threshold and Smith & Hawken collections. 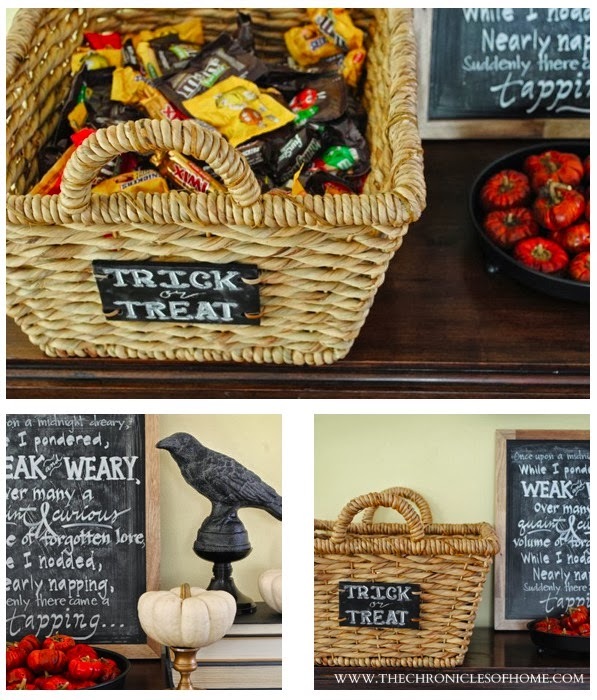 This table sits in our front entryway across from the front door so I used a large Smith and Hawken basket with a chalkboard label to write “Trick or Treat” and to hold the bags and bags of candy we’ll need when Halloween night rolls around. We live in the center of our town and most of the children in town congregate there on Halloween night for trick-or-treating. I run out of candy every single year! 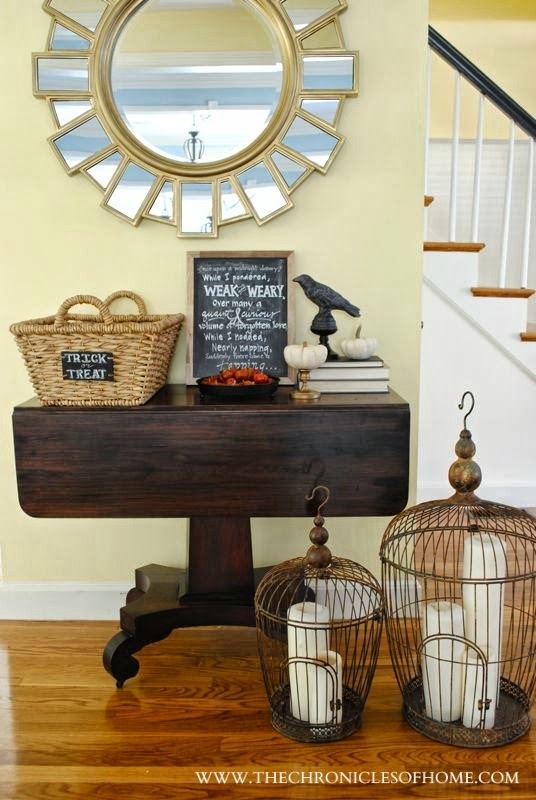 The roomy basket will be a cinch to reuse after Halloween and the possibilities are practically endless. All I need to do is erase the “Trick or Treat” and I will have a beautiful, sturdy basket for whatever my heart desires. Probably magazines…my backlog of magazines is getting out of hand. 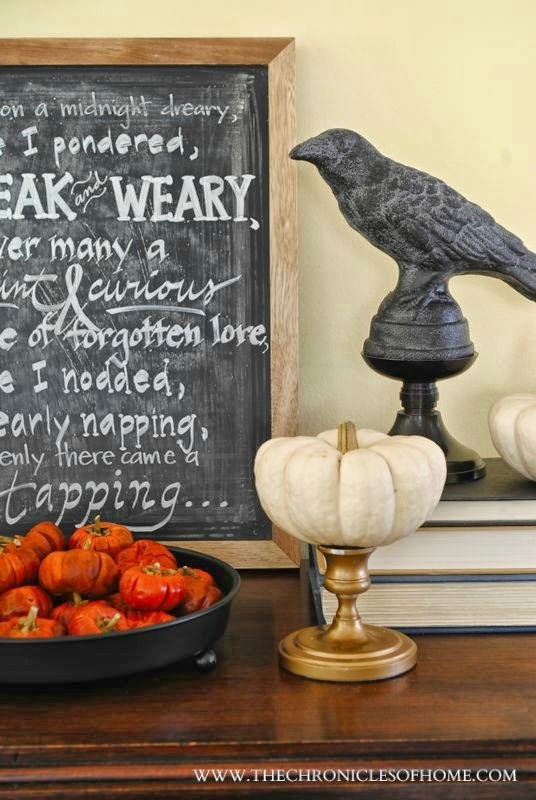 Other than the necessary candy, I focused the table vignette around Edgar Allen Poe’s ubiquitous The Raven. I have a literature background, so it seemed fitting to use a classic poem, though I was never a huge Poe fan. A little too gloomy for me, though perfect for Halloween. The Raven has nothing literal to do with Halloween, it’s just sort of an eerie poem, which is why, I’m sure, it’s become the go-to for Halloween. The Raven figure was a Target purchase, and while he looks perfectly fine as the black raven he is intended to be, who are we kidding? There’s a good chance he will be getting a coat of glossy white or shiny gold paint in the coming months. Details coming soon on how I turned the frame into a chalkboard! I took another of the Threshold frames and replaced the glass with black foam board. 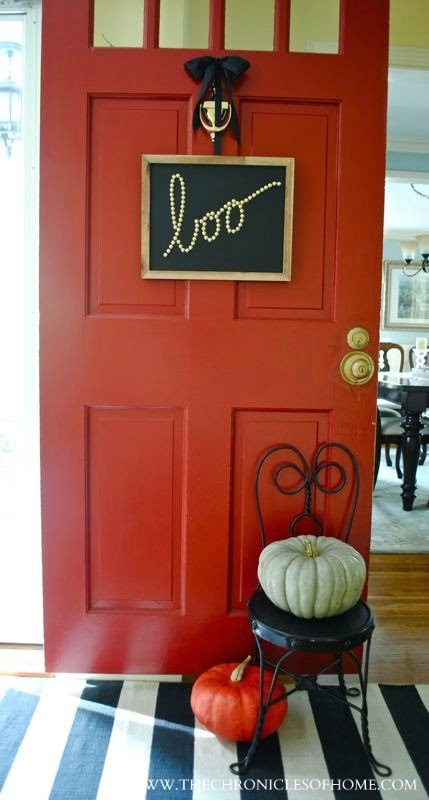 I used brass nailheads to spell out the word “boo” and hung it on our front door with a black satin ribbon in place of a wreath. This kind of Halloween decorating is perfect for my family – my daughters are still pretty little so anything too creepy would just scare them. I’ll share details on how I made this frame project soon, too! And the great thing about this project is it left the glass and picture mat the frame came with intact, so I can reuse the frame for an actual picture after Halloween. I’m a big fan of these natural wood frames and have a couple in my house already. Make sure you check out Coupons.com’s Target coupon codes and Halloween coupon codes if you’re now feeling the itch to do a little Halloween decorating yourself! And what about that $200 giveaway to Target, you ask? You can enter using the Rafflecopter below! 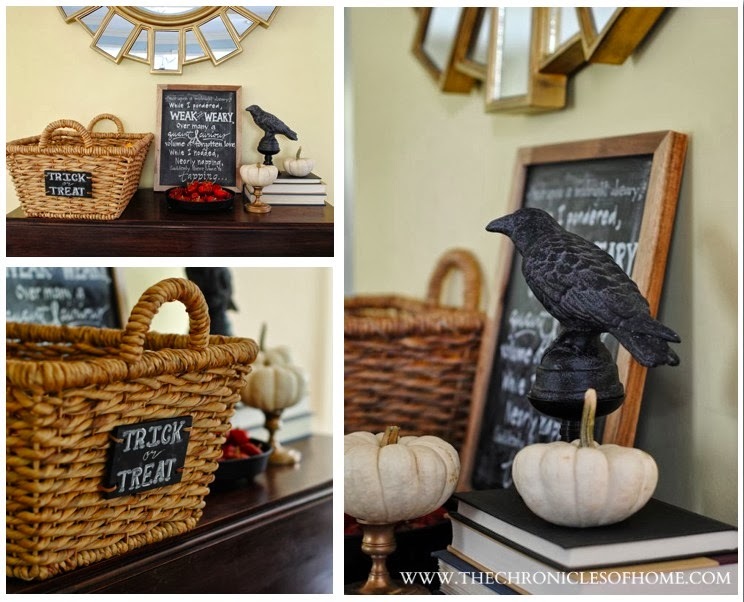 Also make sure you check out these other DIY Halloween Repurpose projects from the lovely Kristin, Cassie, Bethany, Sarah, Julia, and Lindsay! 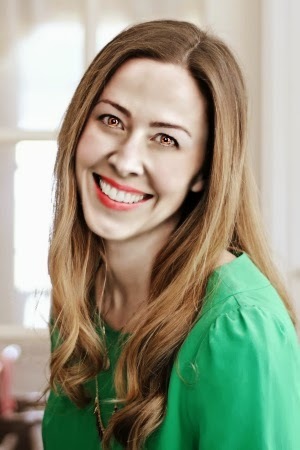 Oh, and in the spirit of Halloween, this is what I would look like if I were a (cheerful) vampire in Twilight.